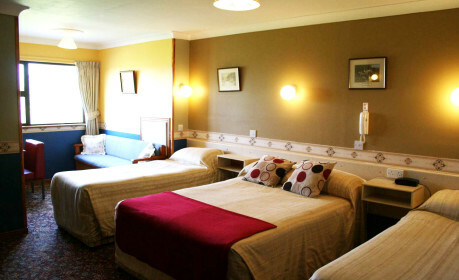 Facilities: each room has a double and a single bed for 2 person. Spectacular views of Lough Corrib and Connemara mountains. Ensuite bath or shower ,hair dryer,flat screen TV, carpeted central heating, telephone, iron on request, Free Wi/Fi, Quiet and Peace. Corrib Wave House has 10 beautifull bedrooms , double rooms with a double bed , twin rooms with a double and a single bed, and Quadruple room, with 2 single and a double bed. Spectacular view of Lake Corrib and Connemara mountains from each room. Wi/Fi in all rooms.Included in all bedrooms is en-suite bath or shower rooms, flat screen TVs, hairdryers, central heating, carpeting, dressing table.